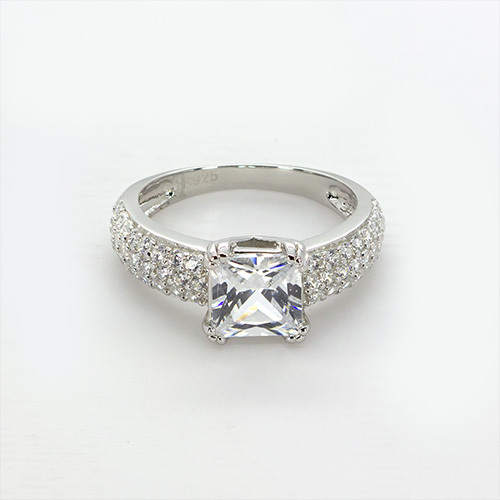 The stunning sparkle of the princess cut Zircon will mesmerise the wearer, it will look stunning on her, make today that special day and get this ring. 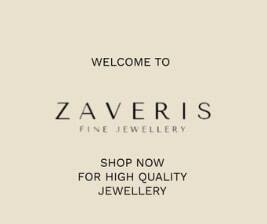 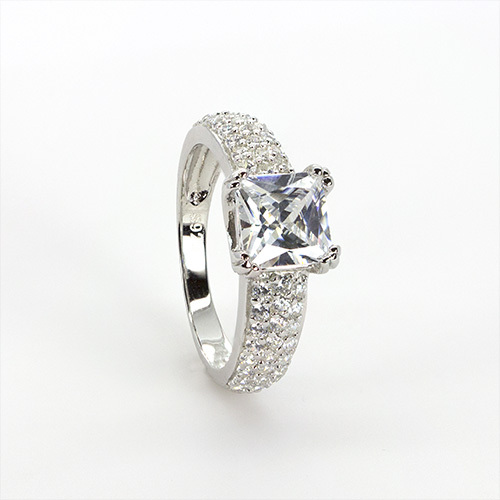 Crafted in a noble metal Sterling Silver. 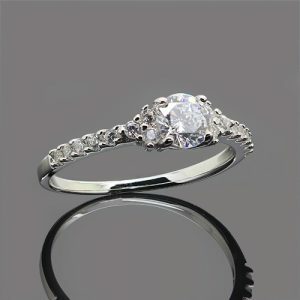 A beautiful ring for a beautiful person in your life. 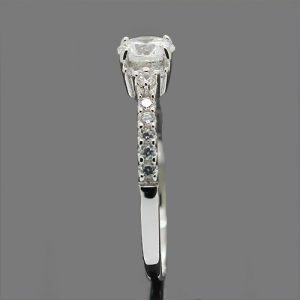 The Elegant Solitaire Silver Engagement Rings. 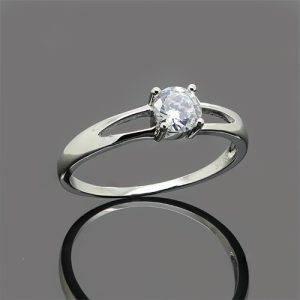 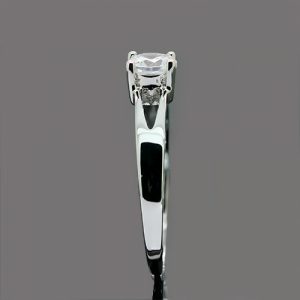 A highly faceted Zircon stone sparkles in the ring, the design has a split shank at the top in ha high mirror polish. 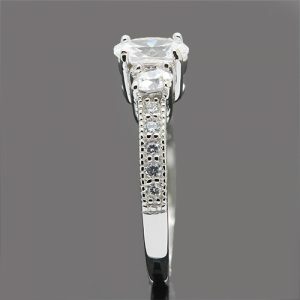 The Shimmering Triad Silver Engagement Rings. 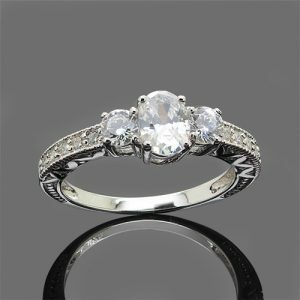 The Stunning Engagement Ring Silver Engagement Rings.